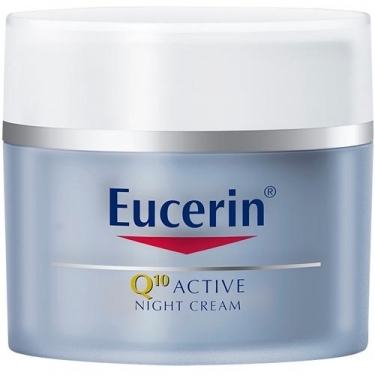 DESCRIPTION: Q10 Active Anti-Wrinkle Night Cream from Eucerin is a rich texture cream to nourish sensitive skin and decrease wrinkles and wrinkles while sleeping. 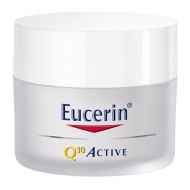 With Coenzyme Q10 to enhance the skin renewal process overnight. Formulated with Q10 conenzyme, a nutrient, which stimulates and improves the regeneration capacity of the cells, attenuating the most marked traits. 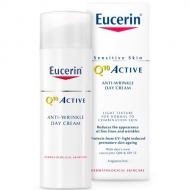 It also contains pro-retinol which has anti-wrinkle action, stimulating cell renewal. Enriched with an action that enhances the regeneration process of the skin at night. Without perfume. No dyes. Non-comedogenic. Gently massage the product into the skin. For first time use it is recommended to apply the product on the forearm and evaluate the reaction of the skin at least one day before applying it on the face.